Bilguun Munkhjargal recently started as the new BTF’s Chief Marketing Officer back in January and has the enviable job to Mongolia’s young trendsetters. Just in case you aren’t aware, BTF is the official distributor and retailer of Adidas, Originals, Reebok, Levi’s, Dr Martens, Jack Wolfskin, Kamik footwear, Z Kids chain in Mongolia. It has 18 stores and serves over 100,000 customers each year. It is known among the Mongolians as one of the coolest companies in Mongolia that sells some of the world’s famous brands. Bilguun is the person behind the scene, helming the marketing throne of BTF. 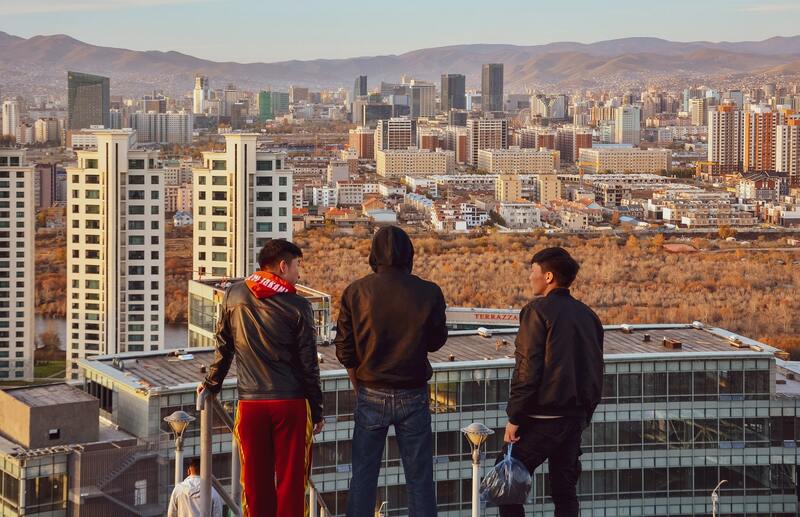 He started as the new BTF’s Chief Marketing Officer only in January 2019 and has the enviable job to Mongolia’s young trendsetters. He is no stranger to creative marketing. Before joining BTF, Bilguun was the former Creative Director of Y&R Mongolia, Mongolia’s first international advertising agency. He worked as the creative director for the in-house creative agency of MCS Group, one of Mongolia’s largest conglomerates, until the agency was bought by the WPP Group and became Y&R Mongolia. Before that, Bilguun worked for 6 years in Singapore as a B2B marketer and operated a self-owned small design and web development consultancy back then. In 2008, he entered the field of advertising and creative services, led by his passion for design, writing, ideas and technology. In 2019, after 10 years in advertising, he decided to make the switch to marketing on the client side and now leads marketing at BTF. You’ve spent over 10 years as a leading Creative Director at VMLY&R and Creative Agency, but recently made the big move to client side as the CMO of BTF. What made you decide to make the switch? There are a number of reasons. I returned to Mongolia in 2008 after almost 16 years studying and working overseas, including Singapore. I joined the agency in 2008 (which became Y&R in 2014 and VMLY&R in 2018) and helped it grow from an unknown business model to a successful business. While I still love the agency business, I realised I needed a change and a firsthand perspective from the client side. BTF, being a retail company that represents a number of great brands in Mongolia, is a great fit in that regard, where I get to dive deep into retail and deal directly with the brands and customers. Which do you prefer, agency side or client side marketer? There’s really no way to compare. On the agency side, I have had the privilege of working with great clients, a diverse portfolio of brands from various sectors like mining to beverages. So you get a bit of insider view into almost everything over time. And I got to work with some great young talents, on the creative side as well as the client service side, which was extremely rewarding and made me quite confident in the future of the creative industry here. Now on the other hand, as a client side marketer, I get to work on long-term strategies and brand management with brand managers, who immerse themselves in the brands they represent. BTF represents about a dozen international brands and operates 16 stores and more coming in central UB, so you get a lot of direct feedback and information from our own salespeople and customers. You get to see and analyze the results or lack thereof of any project almost immediately. So long-term strategy and planning are crucial. At BTF, we put a lot of emphasis on online shopping, and it has been picking up here in the past 2 years. Most customers need no introduction to online shopping, they’ve been ordering from overseas online stores for years and getting them shipped here. But local online shopping is new and exciting. The infrastructure is finally coming together for local online retail. So it’s a totally different ball-game, but equally extremely interesting. At BTF you have an amazing portfolio of the brand including Levi’s Adidas, Reebok and Dr Martens. What are your big marketing priorities for these brands in 2019? To increase the brand value and equity in the market for all of them. They are all famous and hugely successful global brands, but it’s important to make sure that their messages and brand values are translated well locally. Each of them has a different brand DNA, and making sure that we are sending the right message to the right audience through the right channels is key. With such great experience as a Creative Director, what advice can you give your new agency partners as the CMO of BTF as you roll out your new marketing plans? The same thing as our clients used to expect of us on the agency side, which is to be proactive and think a step ahead. Agency business is not just about executing, the foundation is strategy and thinking. The advantage of an agency is that they have an outsider’s perspective on things. In-house marketers spend all their time with their brands, but agencies have the advantage of fresh perspective that they can apply to how the strategy plays out. So they are pleased to tell us if our ideas are rubbish and share better ways of executing the plan. Which Mongolian brands in your opinion, are doing such a great work with their marketing and advertising right now? Ulaanbaatar Passport (Sip & See passport etc), a pocket guide to UB city’s hot spots, has been inspirational. It’s not just marketing and advertising, I think their products show a great love for the city of Ulaanbaatar. Beauty Secrets, a curator of cosmetic products for women, is also quite tremendous in their marketing and customer service. Lhamour, a local cosmetics and skin care manufacturer, has done tremendously not just locally but overseas as well. LendMN, a micro-loans startup, is also doing some incredible work that has paved the way for transformations in the financial sector. Shoppy.mn, an online retail platform, is probably the first successful online shopping destination here and are doing great targeted advertising using all the different digital channels. Shar Doctor, a sea buckthorn berry drink, has been successful where most failed: marketing sea buckthorn berry as a product and they use mass media advertising quite efficiently. These are some of the local brands that I can think of at the moment, though there are so many more. Previously, all the great campaigns were from international brands operating locally, and this is due to a solid strategy that’s been developed regionally or globally and successfully interpreted locally. Today, I think we are seeing the era of truly local brands that people love. You can find me on LinkedIn & Twitter.